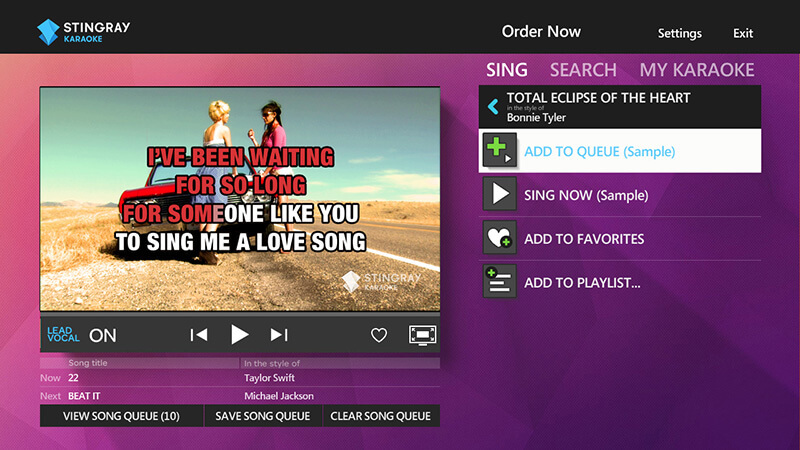 Bring the fun of karaoke home with Stingray Karaoke. With more than 12,000 songs, in popular genres, from all eras, this app is great for family gatherings, parties, or just singing your heart out! Note: watching Stingray Karaoke will contribute to your internet data usage. Press Apps/Interactive on your Optik TV remote or tune to channels 598 or 7507 to access the app. Sing top-charting hits and yesterday’s classics in the style of your favorite artists. Easy-to-use navigation to browse, search and find songs using your remote. Add songs to the queue, create your own playlists or save as favorites.